other information Caoimhín Ó Raghallaigh, 2007. Recorded in Annaghmakerrig, Newbliss, Co. Monaghan. 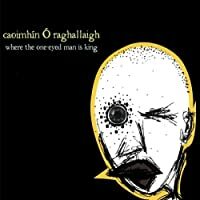 Not indexed here: track 1 (It's All About the Rhythm of Her Toes), track 3 (The Mole Man of Hackney), track 4 (March of the One-Legged Dog), track 5 (Síocháin), track 9 (The Bright and Shining).